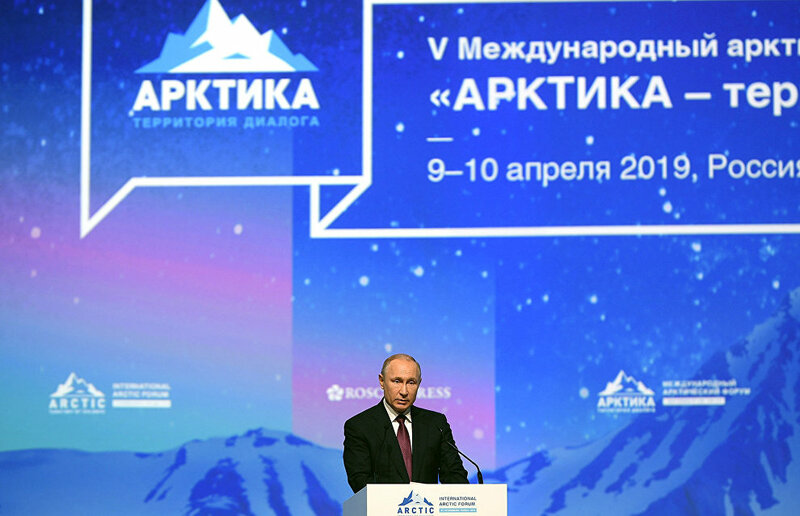 According to Russian research data, Arctic temperatures are rising four times faster than anywhere else in the world, and these are disturbing trends, President of the Russian Federation Vladimir Putin said at a plenary session of The Arctic: Territory of Dialogue 5th International Arctic Forum. At the same time, President of Finland Sauli Niinisto noted that Arctic temperatures were rising two times faster than elsewhere in the world. "First of all, we have discrepancies with Sauli [Niinisto] on data relating to warming in the Arctic. According to our data, the Arctic is warming four times faster than the rest of the world, and Russia is warming 2.5 times faster than the rest of the world. These may be different calculations, but both of these are really disturbing trends," he noted.